I thought I will share with you this tip because many foreigners have asked me about this custom that is hugely popular in the Czech rep. 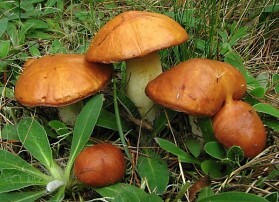 The mushroom season usually begins in May and culminates in early November with the later part of Summer and early Autumn being prime picking season. 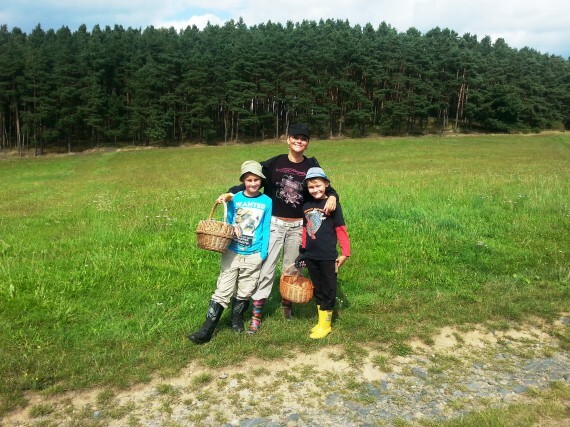 So you still have a chance to spend a refreshing time in the forest being rewarded by full basket of mushrooms. We went last week and our kids are still talking about it. 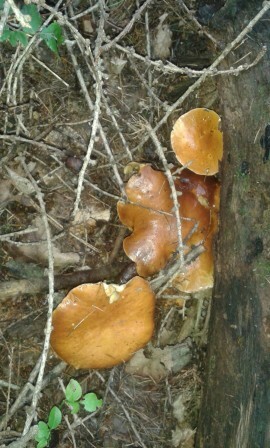 When I was a little girl, we would go mushroom picking every week. 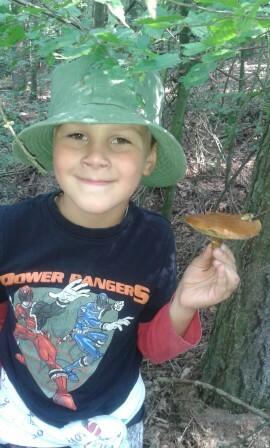 It is really big here and mushrooms are so easy to find. Apart from the mushrooms you get the joy of freshly picked blackberries and raspberries too. I realised how much simple fun this can be for kids and it’s also great exercise. I also realised we must do this more often, because my school kids can hardly tell a pine tree from an acorn tree. Next time we are taking a botanical dictionary with us and not just talking about the cute little frogs hopping around. It is a great connection with nature. So you don’t have to go far from Prague to reach forests. If you don’t have a car, you can take a train to for example to Beroun - towards Plzen, that is surrounded by beautiful forests. 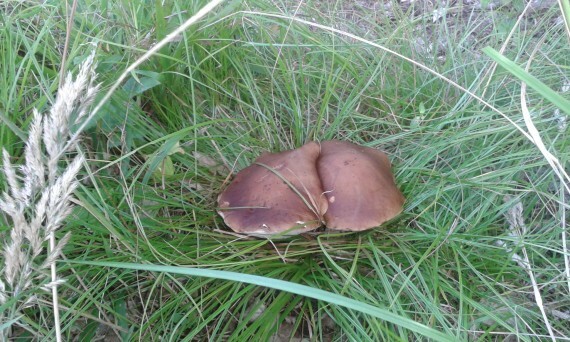 I’ve had many reports even from friends in Prague that they’ve found mushrooms in Prague forests when taking a walk with their dog. This year we went towards Slapy Dam and Dobris. We just drove, found a forest and went in. First we made a stop at the chemist and got ourselves a repellent against ticks. And we won this battle, no unwanted hitch-hikers this year were brought home. It is important that you dress well. Long sleeves, rain boots in the best scenario, long trousers and definitely a hat. Ticks are usually sitting at the edge of branches waiting for you to pass by. Do not worry about going into Czech forests. We have no wolves or bears and the wild bores are scared of people and usually hide during the day. We walked for 3 hours and our basket was quite full. All of us had small knife, so we don’t have to run to each other every time we found something. 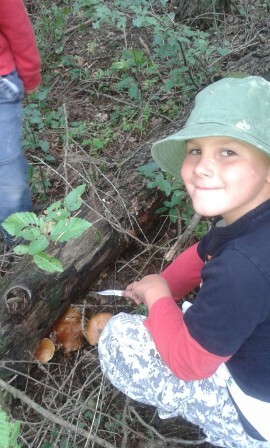 It is important to cut the mushroom off right above the ground - leaving a root piece in the ground. 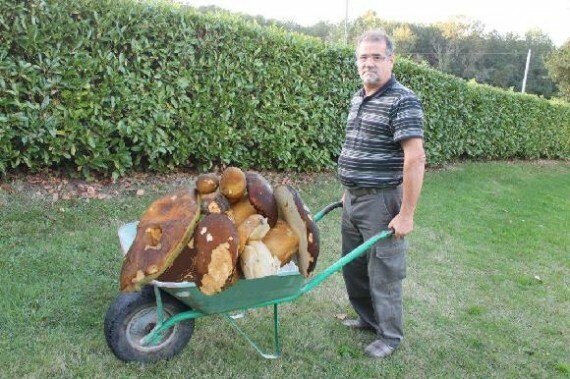 This way you preserve the mushrooms to grow again. Definitely have a back-pack with snacks and water. The forest terrain might be up and down so it’s quite an exercise. Probably the biggest issue would be: Which mushrooms are the safe ones? I was lucky enough to be taught by my parents and this knowledge travels from generation to generation. 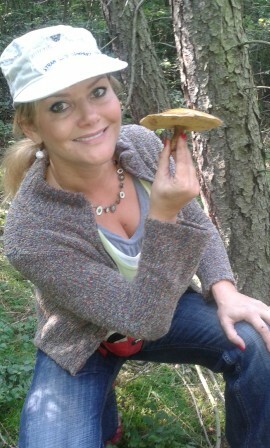 But, you can get a mushroom guide and simply check on the spot. Now nobody in our family likes to clean the mushrooms. They should be peeled (the stem) and the dirt cleaned off as much as you can without washing in water. 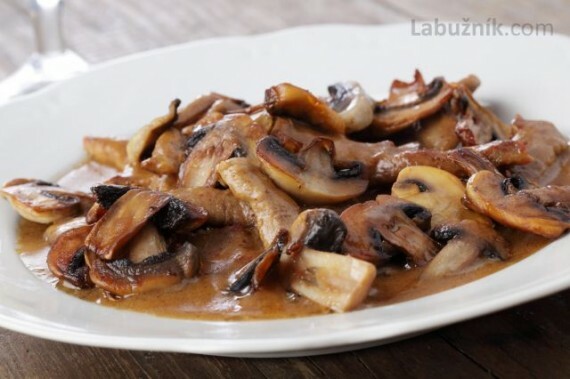 Some of the professionals cut the mushrooms in half on the spot to see if they are “healthy” meaning - they are not already eaten by bugs or worms inside. They may look intact, but they might be unusable. Also, if you leave the mushrooms for too long in the basket with unhealthy mushrooms - lets say till the next day, the bugs may travel and eat the healthy ones that you’ve found. Therefore, it is the best to clean the mushrooms right after you get home. Many people do this as a business and they sell mushrooms to good restaurants and they make decent money. It’s advisable to go in the morning. If you cannot go during the week then Saturday morning is the best. 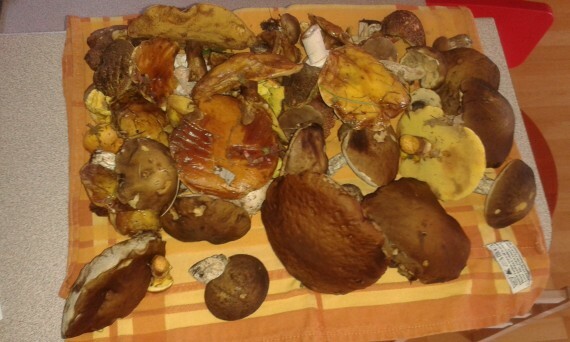 On Sunday the mushrooms are usually gone, picked by somebody else. 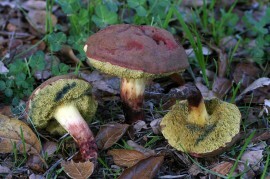 If you want to be safe, do not pick any mushrooms that have kind of: skirt or ribbing, on the bottom of the head. 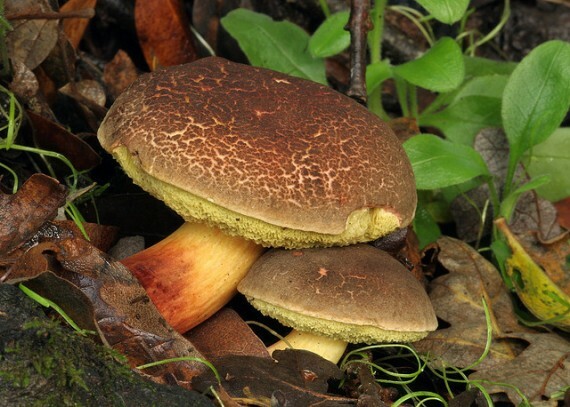 Most of the edible mushrooms have a sort of spongy surface on the bottom of their heads. In general, it is best not to pick anything that you cannot 100% identify. 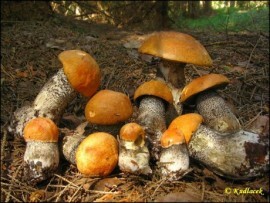 A small clue: bugs will not eat the poisonous mushrooms, so if the mushrooms looks too beautiful without a single defect - it is most probably poisonous. Consider double-checking your mushrooms when you come home - there are numerous online web guides as well as mushroom identification books, or consult with a Czech friend or neighbour who knows mushrooms. 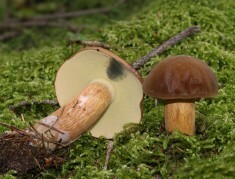 The best tasting ones are: the Boletes Family (Hrib in Czech) which only has one type that is not edible that is the bitter Bolete. 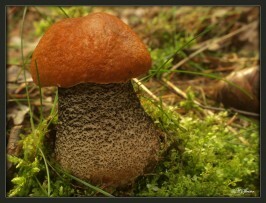 This Bolete is usually the best looking mushroom that you will find. Untouched by critters, it’s very easy to identify because when you touch the spongy bit - it turns a pink-like colour and if you were still not sure - you can lick it and it will taste bitter. 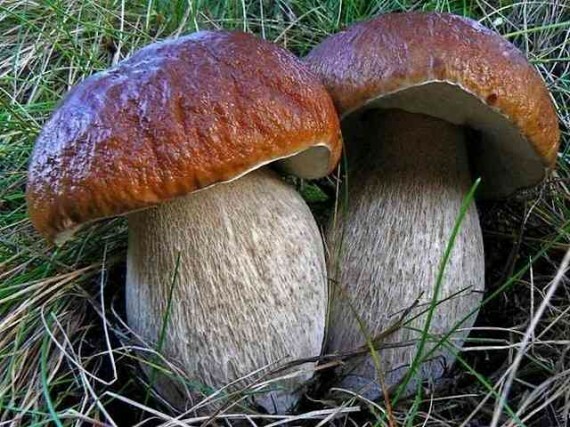 It isn’t really a poisonous mushroom, but it can make you very sick if you ingest large quantities. The rest of Bolets mushrooms are your winners. They are tasty, but nightmare to clean, because they are slimy. Please pick only what you recognise. We have made every effort to ensure accuracy on this website but, in the end, the responsibility for eating any mushroom or fungus must rest with the individual. We at kidsinprague.com cannot be held responsible for any any consequences caused by the misuse or accidental consumption of poisonous mushrooms.